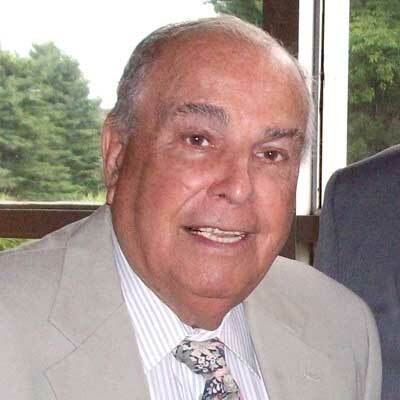 YONKERS, NY—Former City of Yonkers Mayor Angelo Martinelli, the longest serving mayor in the city’s history, passed away peacefully at his home on Oct. 27 at the age of 91. Martinelli served as Mayor of Yonkers from 1974 to 1979, and from 1982-1987. The mayor’s passing was first reported by the Office of Yonkers Mayor Mike Spano. During his tenure as mayor, Mr. Martinelli’s accomplishments were endless. He is responsible for reactivating the Yonkers Police Athletic League (PAL), he re-constituted the Yonkers IDA, conceived the historic Putnam Rail Line, began the annual holiday celebrations in Getty Square, brought back the historic Yonkers Marathon to the city and founded the popular Yonkers Farmers Market. He is credited for beginning the renaissance of Downtown Yonkers, particularly focusing on the Metro North’s Yonkers Train Station. His tireless advocacy set the stage for the restoration of the train station and was responsible for Amtrak making Yonkers a main stop on their routes north. Martinelli was born in the Bronx on Sept. 13, 1927 to Ralph and Rose Martinelli and grew up in Mount Vernon where he graduated from A.B. Davis High School. Angelo met the love of his life, Carol Madatto, at RKO Proctor’s where he worked as an usher and she a cashier. They were married in 1949 and began raising their family at 20 North 7th Avenue before settling in Yonkers in 1960. His business roots were already there where he owned his printing company, Gazette Press, Inc., and began his lifetime membership in the Exchange Club among countless other organizations. He entered the world of politics in the early 1970s and was elected mayor six times earning the title which he was pleased to carry for the rest of his life. Proud of the many businesses he was able to introduce to Yonkers, he is most remembered for his principled stand leading the city through the early tumult of the desegregation crisis and featured in the HBO miniseries “Show Me A Hero’ (where he was played by his future friend, Jim Belushi). The mayor may have lost an election doing what he thought right, but he earned the growing respect of his community. He was also an entrepreneur who published magazines which would develop into the family business, Today Media, Inc., where he, as Chairman of the Board, relished in the success of Westchester and Hudson Valley magazines, as well as Delaware Today and Main Line Today. And he may have left City Hall, but the mayor was a ceaseless promoter of his beloved City of Yonkers serving as Chairman of the Yonkers Chamber of Commerce, the Queen’s Daughters Day Care Center and the Police Athletic League of Yonkers. He was president of Henry S. Richards Boys & Girls Club and also proud of his service as a board member of Hudson Valley Bank, St. Joseph’s Medical Center and Untermyer Gardens Conservancy. Martinelli was a devout Catholic and philanthropist who was honored to become a Knight of Malta. He was a die-hard fan of his beloved NY Yankees and the Fighting Irish of Notre Dame. And ask his children or grandchildren about his competitive nature whether on the golf course, the crap table or playing Monopoly. Above all, he loved his family. He was delighted to fund the magnificent restoration of the Temple of Love in Untermyer Park in honor of the memory of his marriage of 65 years to his beloved wife, Carol. They were so proud of the accomplishments of each of their six sons, their daughters-in-law and their grandchildren. Words are so inadequate to describe his life, but he can be counted in the very first rank whether as a husband, a father, a brother, a grandfather, a great grandfather, a friend or a volunteer. He touched the lives of countless people with his boundless enthusiasm, generosity, support, selflessness and love. He will be missed by all who were lucky enough to have known him. He is survived by his brother Patrick (wife Valerie), and his sons, Michael (wife Jeanne), Paul (wife Lori), Robert (wife Alice), Richard (wife Beth Ann), Tom (wife Kathy) and Ralph (fiancé Halina). He is also survived by the next generations of Martinellis, his grandchildren, Jeanette, Michael, Jr. (and wife Jeanna), Lyda Jo (and husband Andreas), Chris (and wife Tami), Nick (and wife Bari), Christen, Jacqueline, Richard, Jr., Rose (and husband Matthew), Jack, Sean, MacKenzie and David; and his great grandchildren, Stefano, Ryan, Nick, Jr., Macy, Max, Lucas, Devin, Angelo and the anxiously awaited Domenica. In lieu of flowers, please donate to: Yonkers PAL, 127 No. Broadway, Yonkers, NY 10701.